Karl Foerster (1874-1970) was a famous German plantsman and nursery owner. 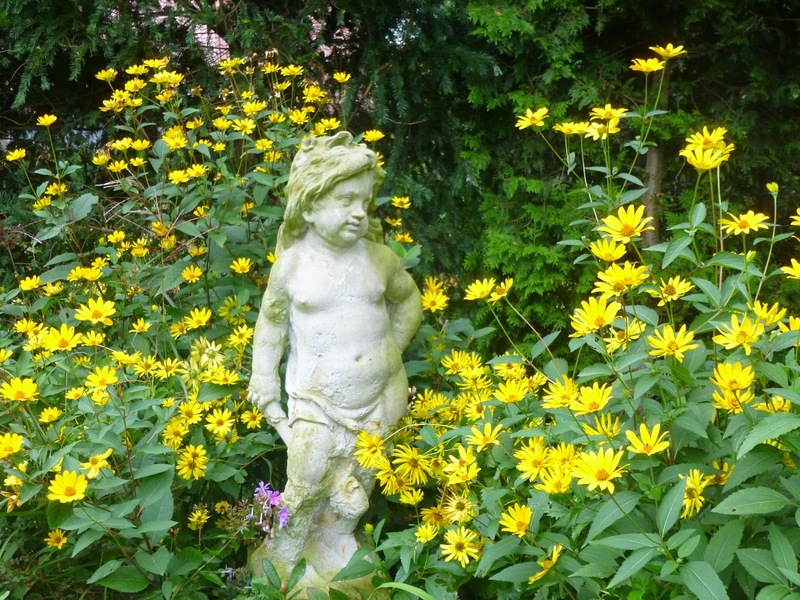 Apparently, he and some friends are the ones who propagated and popularized the Goldsturm rudbeckia. 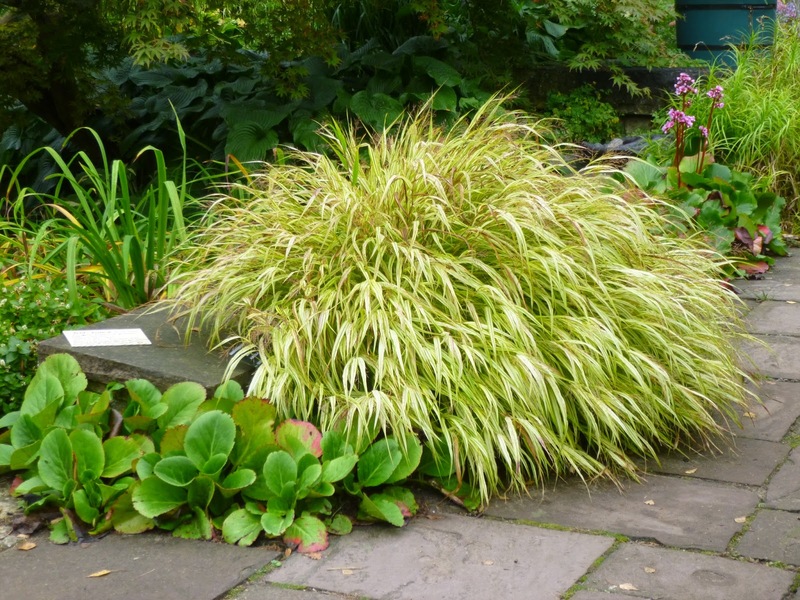 He also is credited with finding and propagating the Feather Reed Grass that was named after him - Calamagrostis acutiflora "Karl Foerster". While taking a daytrip from Berlin to Potsdam to see the palaces there, we made a detour to the Karl Foerster garden. It turned out to be a longer detour than expected, because the bus was not running that day, which meant we had to take a rather loooooooooooooong walk. The striking "Bishop of Llandaff" dahlia. 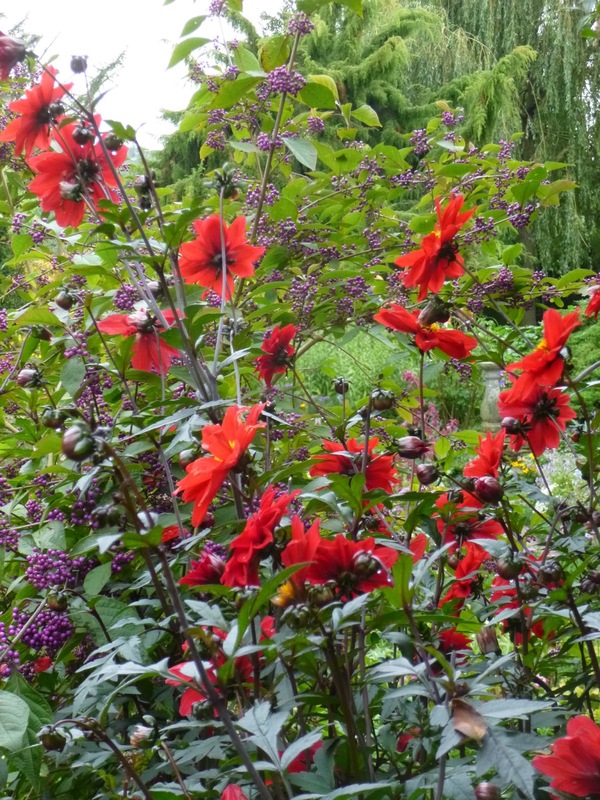 The dark foliage with the red flowers makes for a stunning color combination. 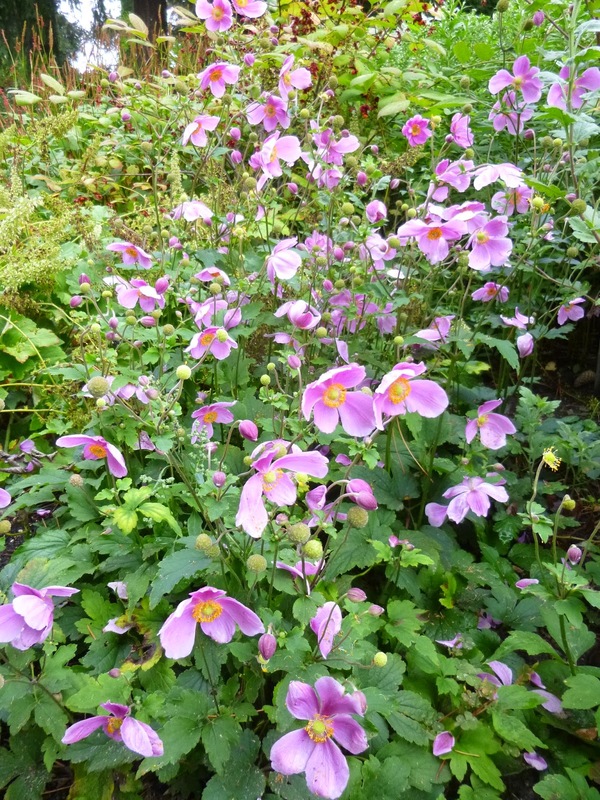 I believe this is some sort of Japanese Anemone, but I couldn't find a plant label to confirm my belief or provide any further detail. 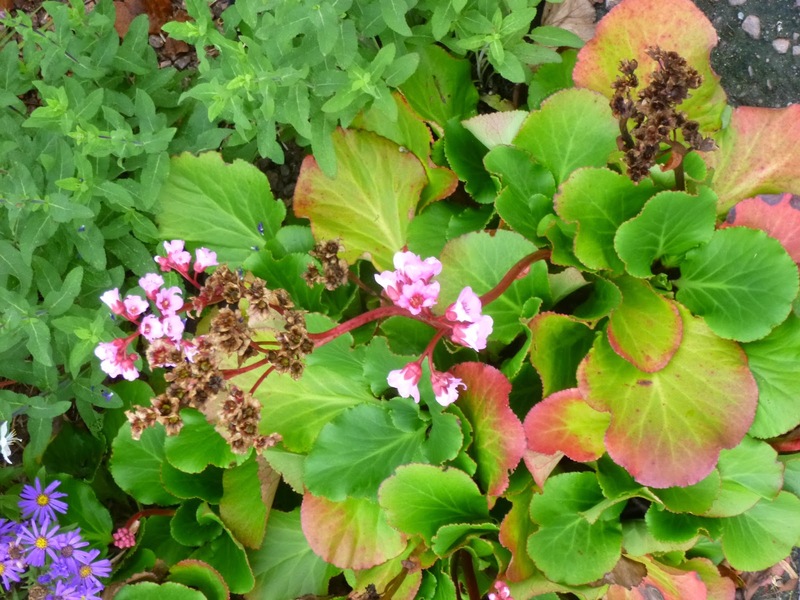 I never saw such nice Bergenia cordifolia before visiting Germany and the Netherlands. 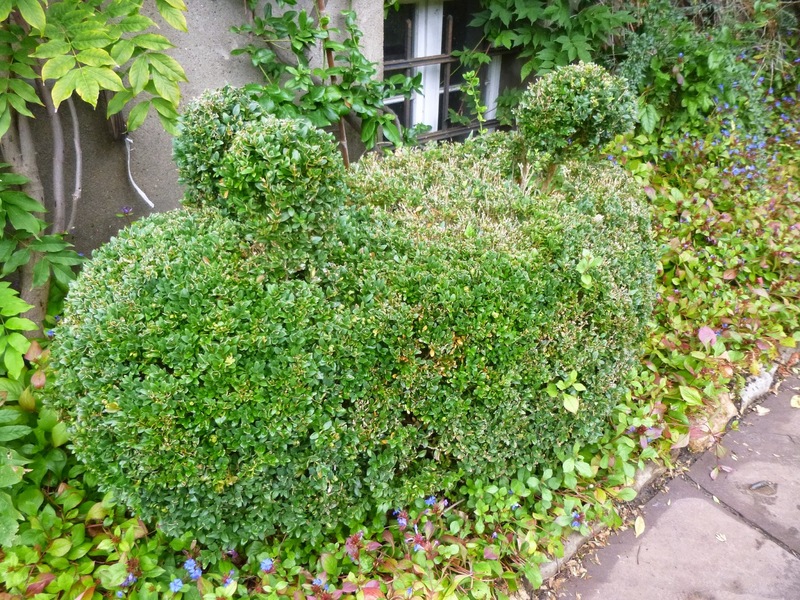 It seems to be a favorite groundcover / filler over there and appears to be very happy in the climatic conditions. These yellow flowers were not labeled. They look to me like some sort of perennial sunflower, but I certainly appreciate a specific ID if any clever readers would like to chime in. I took this photo in large part because I thought it was a very effective and beautiful combination of sculpture, foliage and flowers in the garden. 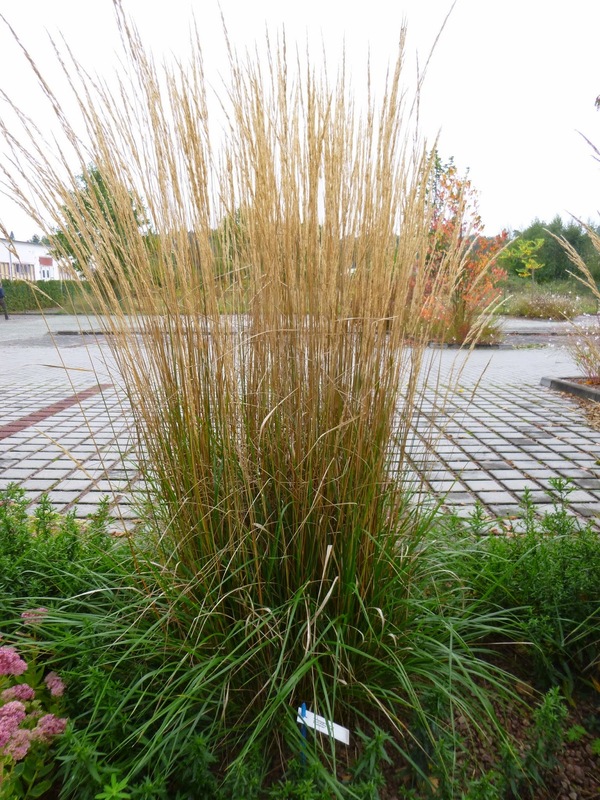 Japanese Forest Grass - Hakonechloa macra. I tried growing some of this in 2014, but I think it needs a shadier and cooler setting than I could offer in Tennessee. Love the combination and foliar contrast of the Bergenia growing alongside the Forest Grass. 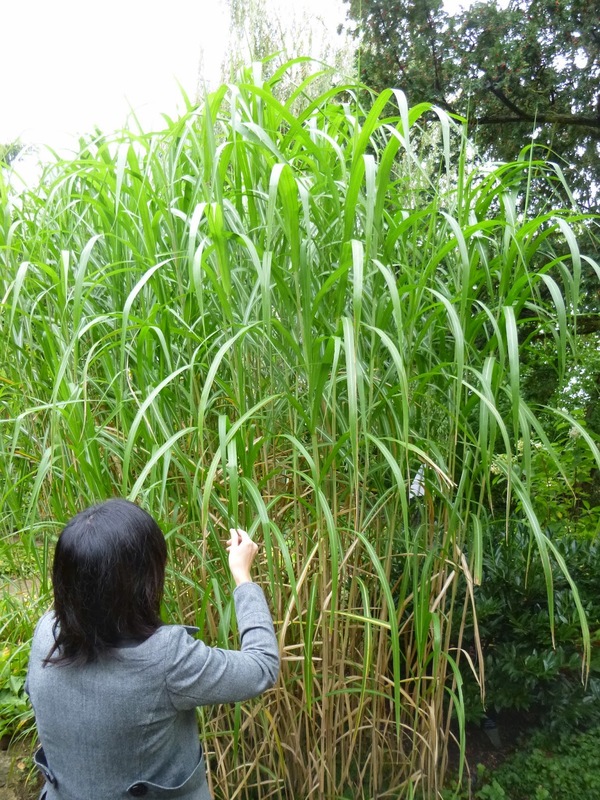 A towering stand of Miscanthus floridulus, at least 8-feet tall! 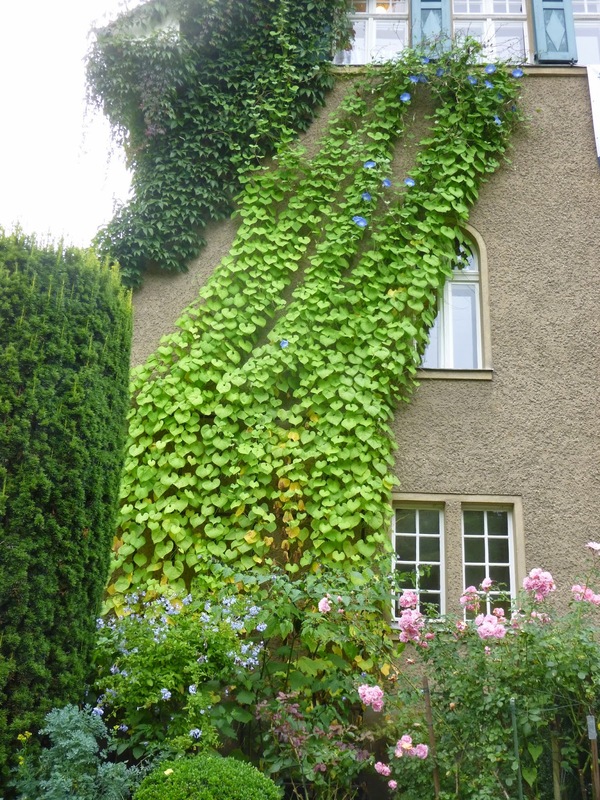 A wall of morning glory in the garden. I believe this vine is an annual, so presumably this is a single season's foliage! No name on this plant in the parking lot. 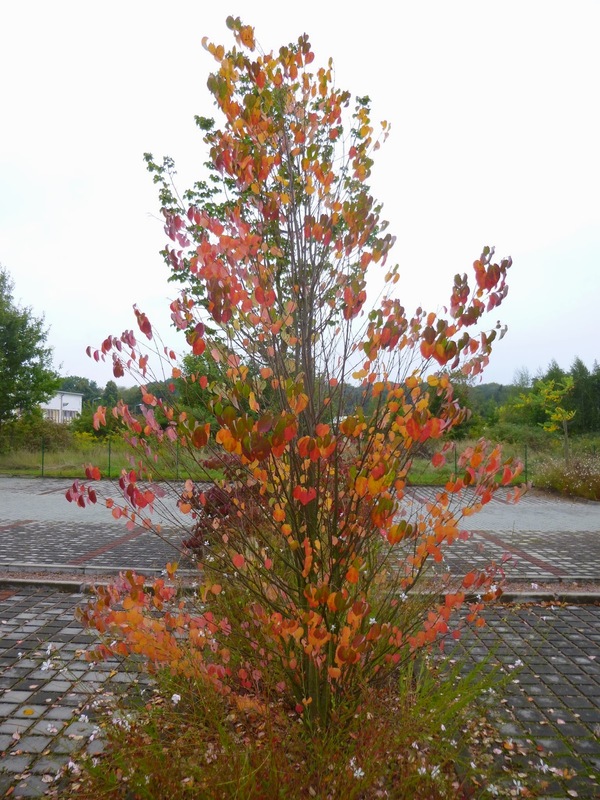 But I love the rainbow colors on the foliage. 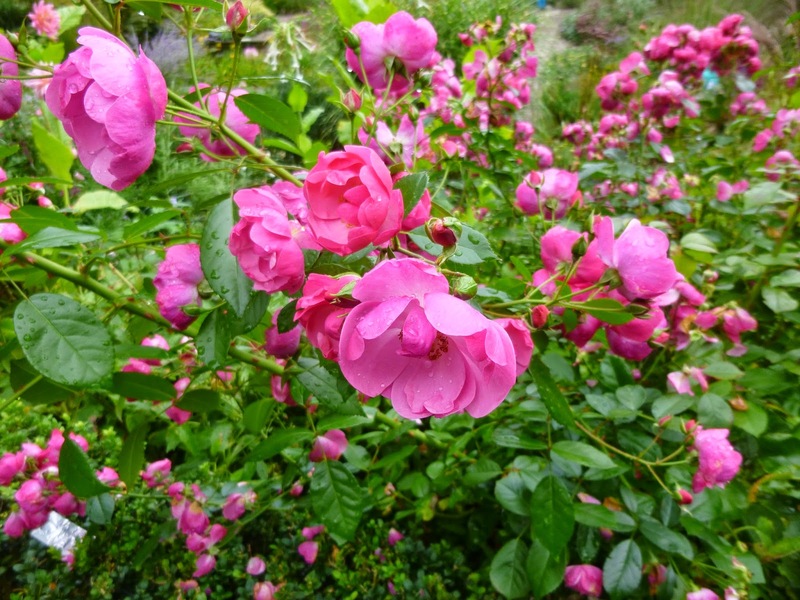 This was a lovely fragrant and floriferous rose called Angela. 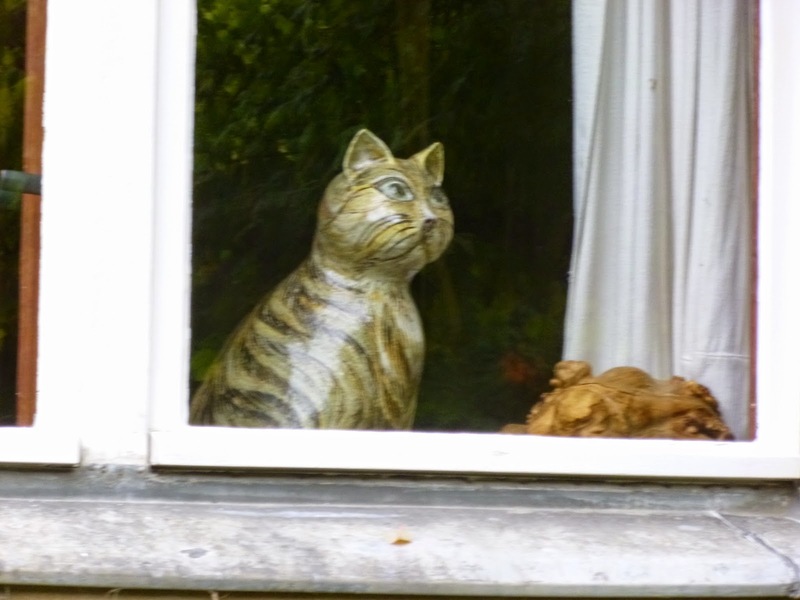 A cat keeps a close eye on things from a window. 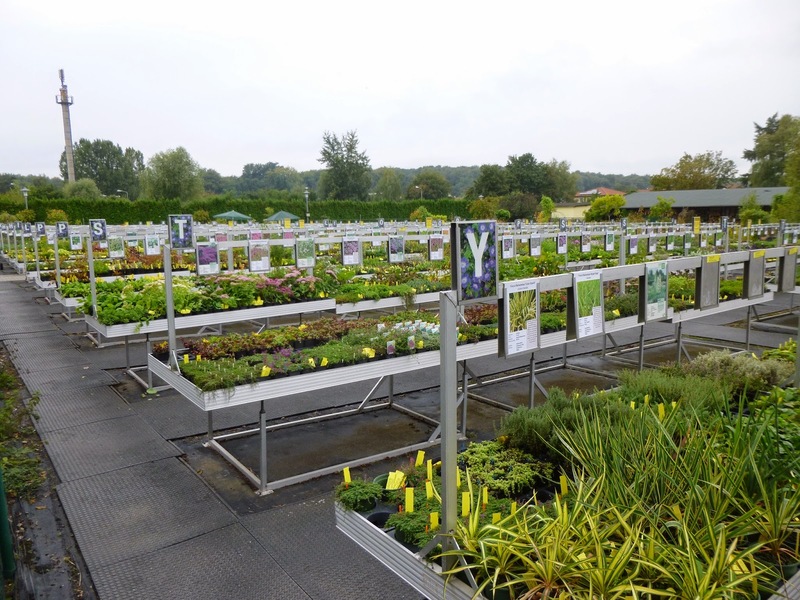 This is the actual working nursery part of the operation. It was closed when we visited, but a sign on the fence listed the hours as being Monday to Saturday from 9-7 and Sunday from 11-4. If you're planning to shop there, you might want to check in advance to make sure these hours have not changed according to the season.